In September 1999, forty of the Western world's allegedly smartest minds converged on the Dalai Lama's residence in Dharmsala, India, to propose solutions to the world's greatest problems. For five days, scientists, writers, publishers, scholars and religious commentators kicked around ideas and, by all measures, failed to achieve anything. Then the Dalai Lama took over and reportedly taught them a thing or two -- though with gentleness and compassion. 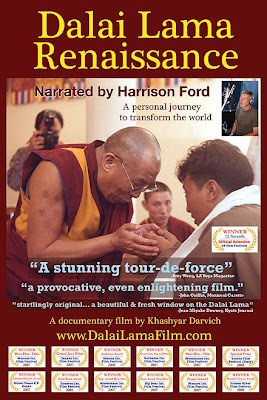 "Dalai Lama Renaissance" is a documentary directed by Khashyr Darvichm and narrated by actor Harrison Ford that chronicles the events of those incredible five days. Ultimately the result is a thought provoking document on the struggle and possibility of our time.